One time flying back from a Mexico mission trip, we were an hour late getting into Atlanta, and our connecting flight to Minneapolis was supposed to take off before we actually landed. We ran from gate to immigration to baggage claim to customs to the gate. It was foolish to hope we could possibly make our flight. Somehow we did. It is easy to be cynical. It’s also easy to believe that the more sophisticated, grown up view of the world is one without much hope. It is easy to believe that when we die that is the end. It’s so easy to believe in death as the end that it seems foolish, silly, or childish to hold out hope for life after death. The readings today take what many believe is reality and flips it upside down to show what is true. While it appears crazy to believe in life after death, it is actually foolish not to believe in eternal life because the souls of the just are in the hands of God. While it will appear that Jesus looses everything on the cross, it is actually by dying on that cross that Jesus saves the whole world. And while it makes sense to die for a good man, Jesus dies for us while we are still sinners, still a mess. The readings today affirm our belief that death is the not the end and that Jesus wholeheartedly desires to save us and welcome us into eternal life with him. 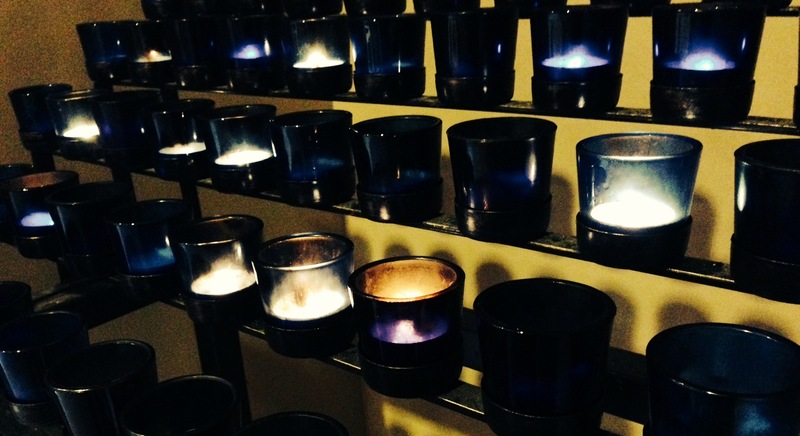 This time of year we as Catholics remember our loved ones who have died. We honor them and reaffirm our hope in life after death. On All Saints Day (Nov. 1) and All Souls Day (Nov. 2) take time to reaffirm your hope in life after death and pray for those who have passed before us. Make a list of all the people you know who have died since Nov 1 last year. Bring that list to Mass this weekend and pray for them silently. If you have children give them each a name of a person to pray for during Mass. If your house was on fire and you only had time to save one thing, what would you save? We can tell a lot about what our priority is by our answer. Obviously, we would rush our families out of the house, but beyond that, what would you grab? I’ve heard people answer that they would grab their wedding albums or their baby books. Others may answer that they would grab important documents. Still others would probably say their phones or computers. What would you save? What is your priority? In the gospel, Jesus is asked what is the priority of our spiritual lives. The question is about what law is the greatest. Jesus answers definitively, “You shall love the Lord, your God.” It really is as simple as that. Our priority is to love God. Jesus doesn’t say that we should “like” God or “appreciate” God. He commands us to love God. When we use the word love we often mean affection or entertainment or delight, like, “I love ice cream,” or “I love dogs,” or “I love movies.” But when Jesus says love he means to desire what is best for the other person. The Church’s definition of love is putting the needs of another before our own, to put others before ourselves. When Jesus commands us to love God, he is telling us to put God’s will before out own. Simply, the greatest commandment is to put God’s will before our own will. How much? Jesus says, “with all your heart, with all your soul, and with all our mind.” What is our priority? To desire God’s will in our life. What is the greatest commandment? To make God the most important thing in our life each day. I don’t know about you, but that is hard and I am not very good at it. So what should we do? Pray for God to change our hearts so that we desire it. Make the sign of the cross and say this prayer (if you mean it). 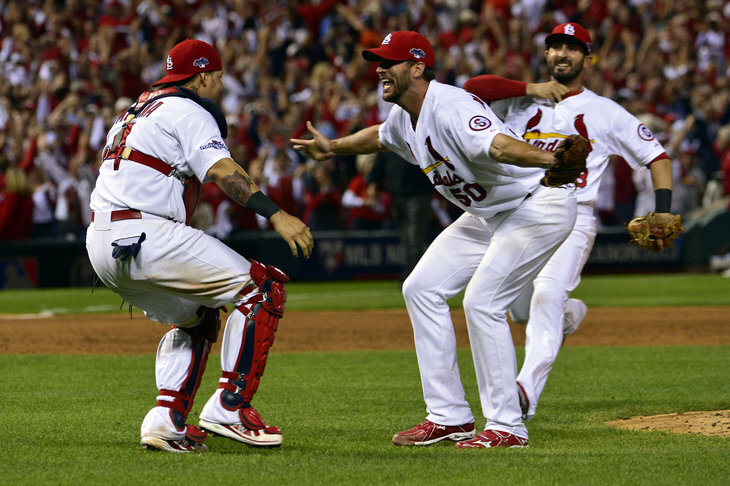 I am a St. Louis Cardinals fan and this time of year is like Christmas to me. My Cardinals are usually in the playoffs and are almost always a contender for a World Series title. The only issue is that almost every night is a baseball night. I stay up watching games. There is no chance any other TV will be watched. Plans get cancelled or rearranged. Baseball rules all. In the readings today, we heard some pretty powerful statements. In the first reading from Isaiah we hear God say, “I am the LORD, there is no other.” Isaiah is talking specifically about Israel not being ruled by other kings and princes. God is God and there are no other gods. No one rules but God. The thing is that we often let a lot of things rule our life other than God. Just like how baseball rules my schedule in October, I choose to make things that aren’t God be LORD of my life. I often, sometimes unintentionally, put something ahead of God. Honestly, today it was work. Instead of taking solid prayer time this morning, I jumped right into email and I haven’t stopped working since. Often we think of sin as doing or saying bad things. In reality, sin is sometimes putting good things in the wrong order. God wants to be our priority, not just one of our many priorities. Priority means “first thing.” We literally can’t have multiple first things. Either God is first or something else is. The good news is that we can change. The process of making God first is life long. But every long process starts with one small decision. Take out your phone right now. Look at this week (or maybe today if you are a crazy busy person). What rules your life? What takes a majority of your time? Make a plan to put God first tomorrow in some small way. Schedule 5 minutes of prayer in your calendar. I don’t purposely reject her request for something to be done, but I do conveniently ignore it. Even though these are different acts, the result is still the same – I don’t do what she asks. In the Gospel, Jesus tells a parable about king who gives a wedding feast for his son. The first round of invited guests flat out refuses the invitation. The second round of invited guests simply ignores the invitation and does something else instead. Even though the response is different, the result is the same – neither goes to the feast. We don’t think of ourselves as the kind of people who flatly refuse God’s invitation. More often, I think, we are people who simply ignore it and go do something else. God is inviting us to a great feast, a huge party, and often I just throw the invitation on my stack, thinking I will get to it later. The problem is that this invitation isn’t to “just another thing.” The invitation is to the greatest thing. It is an invitation to the thing we were made and destined to do – grow closer and closer to God. Do you ignore God’s invitation? What do you do instead of attending God’s feast? Treat Mass this weekend like a party you were invited to. Dress well, get excited, and do the kind of things you would do to prepare for a party. If you have children, be creative and involve them in the preparation. For the compete Sunday readings click here. 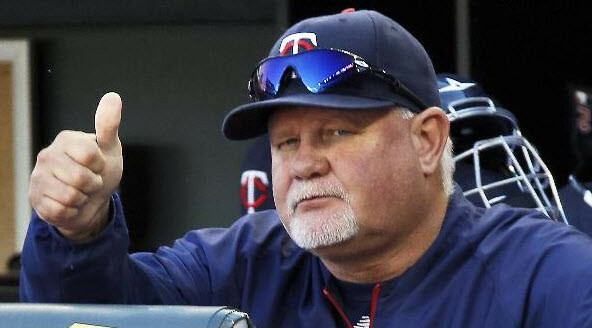 On the surface, the gospel this week looks pretty similar to the Gardenhire firing. The tenants don’t produce any fruit and so the master eventually kicks them out. However a closer look reveals one small but important difference. The story never says they don’t produce fruit. Instead the scripture simply states that when the servants of the master come to obtain the fruit, the tenants beat, kill, and stone the servants. It isn’t that the tenants aren’t successful in growing grapes and making wine; it’s that they don’t give to the master, the owner of the vineyard, what they owe him.